The girls youth group annually visit a hospital Children’s ward where they give out presents to the less fortunate children. This year the girls decided to visit Pinderfields Hospital (Children’s ward). The girls spent many hours individually wrapping each present and were ready to spread smiles across the faces of many young children in that hospital. 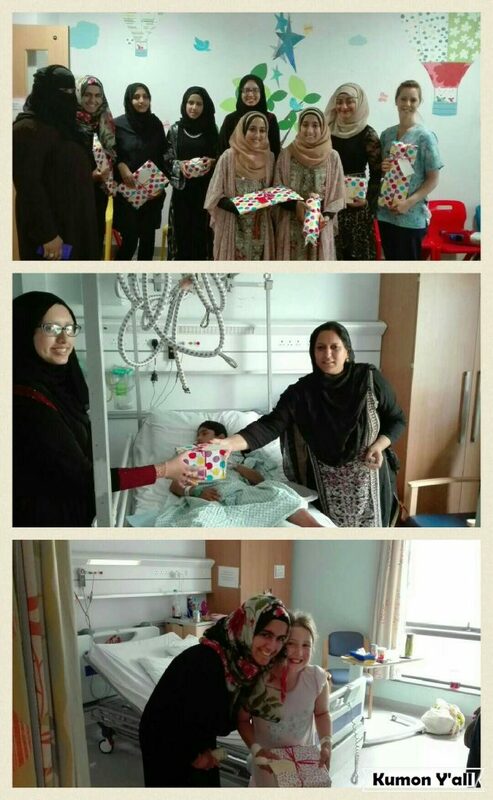 Eid is a time of joy, happiness and peace for muslims across the globe and the girls wanted to make a difference locally by sharing that same spirit of joy and happiness with the children in this ward. There were smiles all round from the children to the parents alike as the girls gave gifts to one and all. It was an event that the girls were very passionate about and it was an immense success. The aim of the event was to Love Thy Neighbour and to spread unity in another community.